What is situational disorganization? It is disorganization resulting from a new and different, sometimes temporary situation. This type of disorganization can be overwhelming, stressful and lead to feelings of anxiety. I’m experiencing situational disorganization first hand because my kitchen is being remodeled. I moved everything out of my kitchen and the sitting area adjacent to the kitchen. I piled everything into my dining room so that I could still use my living room. The entry into the living and dining areas have been sealed in heavy duty plastic. This is so the dust from the kitchen remodel doesn’t completely coat the living and dining room. One section has a zipper in it so that I can let the dogs through the living room and out to the backyard. My dogs are learning a new routine! They run down the stairs from the third floor and have learned to sit in front of the plastic with the zipper and wait for me to unzip the thick plastic. They dash through the opening and then sit at the door to the garden waiting for me to open the door. My dining room is a disaster zone. I have set up a temporary kitchenette in my family room in the basement. This is fine. I can deal with it because I know it’s temporary. I know that when my new kitchen is installed I’ll be able to put my belongings and furniture back in place. 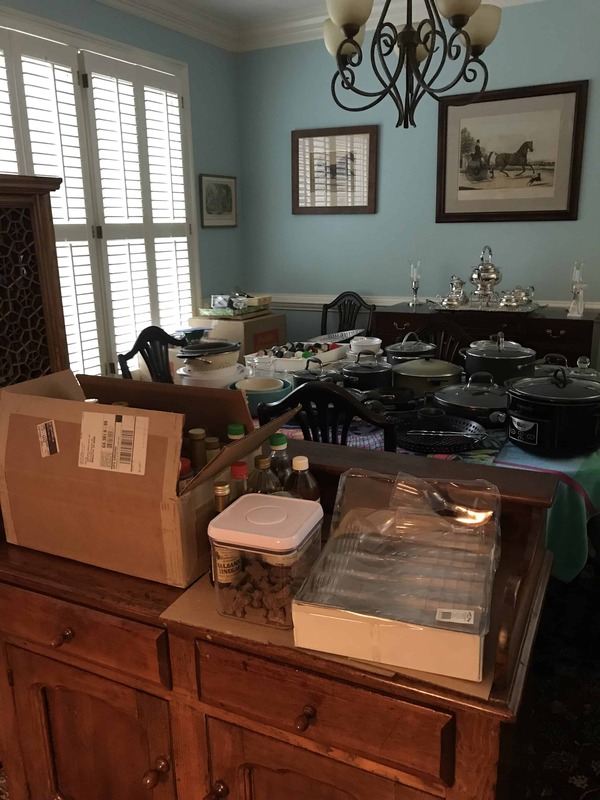 My dining room will be back to normal and my family room will no longer be where I take my meals. Meanwhile, my dogs and I are making the best of the situation. Here are some strategies for dealing with situational disorganization. Evaluate priorities: what is important to take care of? Think about meals, shelter, and health. Delegate: let friends and family (and work) know what’s going on so that they can help you. Routines: as much as possible stick to routines that work for you. Things that can be done routinely can provide a sense of comfort and familiarity. Give yourself the grace to try new ways of doing routine things. Be Patient: Forgive yourself if things don’t go exactly as you’d hoped. This is a new situation. It takes time to arrive at what works well under these different circumstances. In my case, I know things will return to normal. Sometimes, like in the case of disorganization caused by having a baby, you arrive at a new normal. You develop new routines, new ways to maintain organization, new strategies. It’s life. Are you, or have you ever been, situationally disorganized? Oh, Diane! First of all congratulations on this wonderful renovation. I hope you’ll share the after pics too. Situational disorganization can be so disruptive, especially for those of us that are very organized. We like things in their places and having things out of place makes us feel out of sorts too. I’ve totally relate to the discomfort. 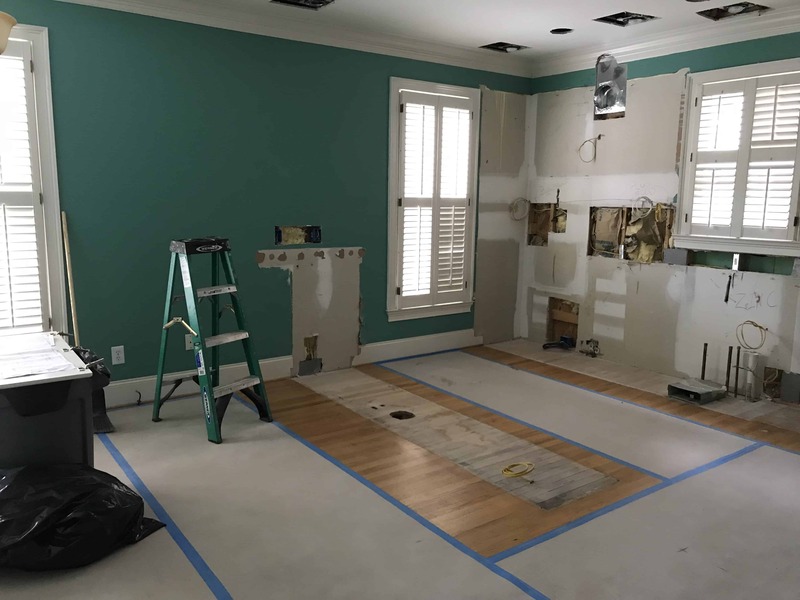 The times we’ve gone through even simple changes (like painting a room,) I have a rough time. But the good news is that something wonderful is waiting on the other side of the disruption. And during those times, I try (with the help of my family) to remember that. I wish you comfort, peace, and learning along the way. AND…enjoyment of your newly renovated kitchen when it’s completed.